It is time to act cautiously! Following the rate cut announced by the Bank of Canada last week, the major banks have passed on a part of rate cuts to their borrowers. In addition, there seems to be more speculation around uncertainty in the Canadian economy and a possible rate cut in March, if the oil prices do not sustain. 3. Getting a mortgage that is suitable for you and not just a low rate. Please read article and watch the video on the Financial Post for information. If you are looking to buy a home and need advice on how to manage your finances, contact the team at mimortgage.ca. To get pre-approved today, apply now through our secure online website or speak to one of our agents at (866) 452-1100. Categories: Homeownership, Interest rates, money, Mortgage Brokers, Mortgage Rates, Refinancing Mortgages, Saving Money, Uncategorized | Tags: Managing your money, paying off debt, reducing dept, saving | Permalink. Your Credit Could Be Destroyed By A Simple Error! 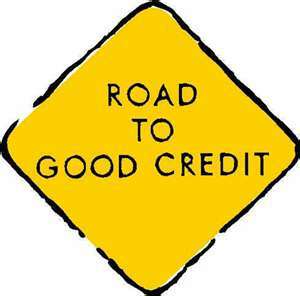 As an experienced Mortgage Agent I have seen many different Credit reports. There have been many instances when clients have come to us to get pre-approved and their credit scores have come out low or lower than anticipated due to incorrect information on their files. Until these credit issues are repaired, they cannot move forward with a mortgage. Someone else’s information on your bureau. Whatever the case may be there is usually a way to fix it. First of all you must collect all the documentation to prove that your credit is clean. Then have your proof of identity ready to share with the Credit Bureau. Contact the Credit Bureau with the information and give them a full explanation of the error and why you believe it should be corrected. It may take time to make a correction on your credit bureau but it can be done. If you are in the process of trying to obtain a mortgage and it becomes clear that there is an error on your credit bureau the team at mimortgage.ca are ready to help you clear it up and get the mortgage that you want. The team at mimortgage.ca are able to advice and assist you with improving your credit and also offer suitable mortgage solutions if you are looking to buy or refinance your home. To get pre-approved today, apply now through our secure online website or speak to one of our agents at (866) 452-1100. Categories: Homeownership, Maintaining Good Credit, Mortgage Brokers, Refinancing Mortgages, Uncategorized, Your Home, Your Money | Tags: Buy a home, Credit bureau, credit issues, credit report, credit scores, improving credit, mortgage solutions, refinancing | Permalink. The overnight rate cut announcement made by the Bank of Canada on Wednesday, certainly did take everyone by surprise. Bank of Canada’s reason for the overnight rate cut to 0.75 percent is as a result of all-time low oil prices. This certainly is good news for you homeowners and prospective homeowners. All-time low oil prices will result in you having more disposable income. Lower variable interest rates on mortgages. Low rates however does not mean you need to accumulate more debt. This is a great opportunity for you to utilize some of the extra cash to pay off your mortgage or other loans in principle and interest payments that will result in reducing your debt and accumulate more assets. To utilize part of the extra cash to build your savings or towards a future pension plan for yourself. Please the read the article on CTV News for more information. If you are a homeowner or a potential homeowner and in need of advice on planning your finances, contact the team at mimortgage.ca today. To get pre-approved today, apply now through our secure online website or speak to one of our agents at (866) 452-1100. Categories: Homeownership, Interest rates, Mortgage Brokers, Mortgage Rates, Refinancing Mortgages, Your Home, Your Money | Tags: build your savings, homeowners, low mortgage rates, lower variable rates, potential homeowners, Reduced overnight rate, reducing your debt | Permalink. Please read the full article on Credit.com for information. If you are burdened with accumulated debts and would like advice on how you can improve your situation, speak to one of our agents at (866) 452-1100. Categories: Line of credit, Maintaining Good Credit, Mortgage Brokers, Saving Money, Your Money | Permalink.